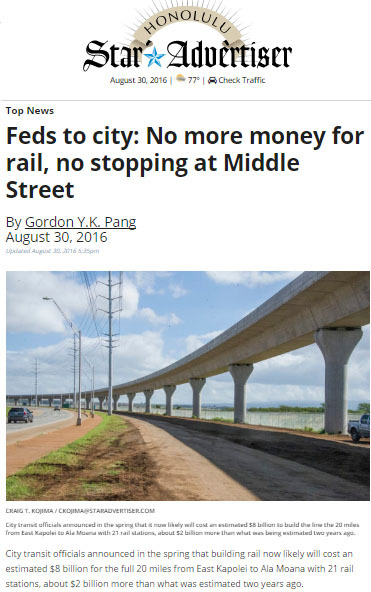 Today's late-breaking news about Oahu's rail project means that the Rail Cartel's big push is starting now for higher taxes and more wasteful spending. Democrats, RINO's, and special interest groups are definitely coming for our wallets in a big way. Cutting rail short at Middle Street without having to pay back the federal dollars. The remaining $500 million from the FTA until they like what they see. You know what that means : More taxes from you, your family, your friends, your neighbors and your co-workers, as well as those strangers alongside you in rush hour traffic which will experience 57% worse congestion even with rail (yes, you were repeatedly lied to about promised "traffic relief"). You'd better sit down : With no more money coming from the Feds, with the threat of having to 'pay back' the Feds if we don't "finish" the 20-mile starter route to Ala Moana Center, and with still zero money coming from elusive "public-private partnerships" in which businesses (instead of their customers) get suckered into paying billions for construction of the 21 rail stations, that means the ONLY sources of funding are: (1) increasing the general excise tax (GET) again; and/or (2) increasing real property taxes. That's it. 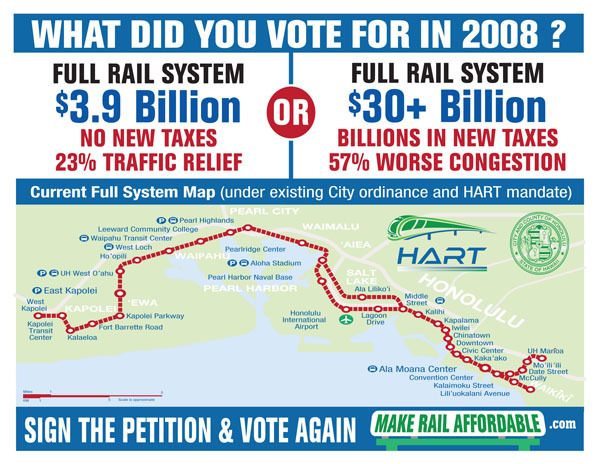 Reality Check #1 : Without a sustained, coordinated fight from Hawaii Republicans, BOTH of these taxes are on their way to being permanently increased to pay for the operations and maintenance of the rail project once construction is finished. On that note, the reason why the City and HART never quite get around to releasing a final "financial plan" for the Rail Transit Scheme is because they don't want to tell you how high taxes will be to subsidize the money losing rail system, year after year after year. It doesn't matter if rail stops at Middle Street or circles the entire island or goes into outer space and back again -- it's a HUGE money loser for City taxpayers (e.g. all of us). So, the official theme of the Rail Cartel's 'let's push for another tax increase' campaign is "Hey, Let's Just Finish It, Already". You've already heard this message coming from several quarters. But this slogan will get louder and louder . . . especially without any meaningful opposition to the big money grab for the gravy train. Honestly, it won't be long until severe pressure is placed by the Rail Cartel's usual suspects and their friends in the media onto the state legislature and the governor to get the tax ball rolling. Several politicians have already signaled "yes" while others are pretending "no" until the election is over. Without any sustained, coordinated fight from Hawaii Republicans which directly appeals to the public to help stop this madness *, legislators will kowtow to the Rail Cartel. 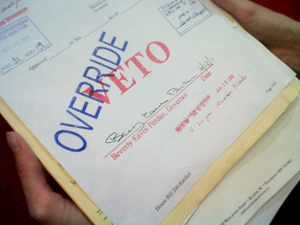 Reality Check #3 : No matter who becomes mayor after November, with PRP controlling the Honolulu City Council, it only takes six of these puppets (including PRP's Caldwell-supporting Kym Pine-Ryglowski from council district 1) to override a mayor's veto. 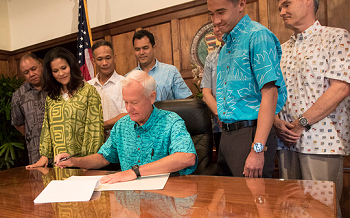 So if, perhaps, Mayor Djou was to veto a tax increase from the City Council, it won't matter. The tax increase becomes law. 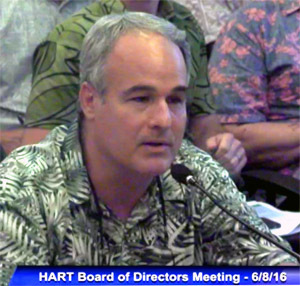 Without a sustained, coordinated fight from Hawaii Republicans which appeals the public to stop this madness*, City government and HART will kowtow to the Rail Cartel. Today's BIG NEWS about the rail mess is an opportunity for Republicans in Hawaii to really come together and advocate something substantial . . . opposition to this madness in a meaningful, powerful, coordinated campaign which changes how voters see the 2016 and 2018 elections. Yes, the time has come for the Hawaii GOP organization and its candidates (incumbents and challengers alike) to stand up and be counted. GAMECHANGER : In a surefire way to get Aulani Kaaihue off the front page and the nightly news and get people around the watercooler and dining table to consider voting Republican, HIRA proposes a surefire place for Republicans to make their stand: OPPOSING HIGH TAXES AND WASTEFUL SPENDING. Imagine a unified front against more tax hikes and more wasteful spending and the resulting higher cost of living which will impact Oahu families forever. 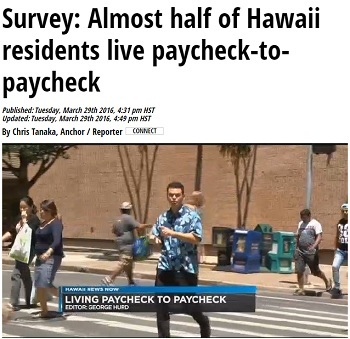 Imagine Hawaii Republicans forcefully taking the side of being tax fighters, fiscal conservatives, and advocates for overtaxed residents who already live paycheck to paycheck just to feed the Democrat Machine and the Rail Cartel. 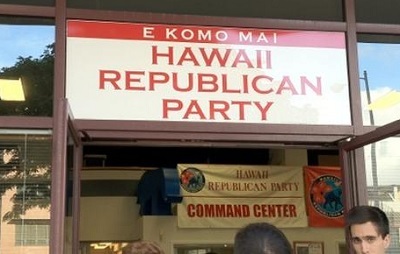 Imagine a coordinated campaign from top to bottom at the Hawaii GOP which lets voters know that there really IS a difference between Hawaii's two major political parties and that their vote really matters. With so many Democrats in the state legislature and on the city council, we need to change the makeup of those bodies. That's why being bold on this issue cannot wait until after the election. This truly is a defining moment in Hawaii history - right now!! Yes, Democrats are coming for our collective wallets. Real Republicans in Hawaii need to seize the moment to save the day. Being a RINO who either sits out this fight or joins the Democrats is not an acceptable response to this new crisis and continuing challenge. You may have voted for higher taxes in recent months or years (these RINO's know who they are), but everyone will remember what happens next. BOTTOM LINE: The ball is now in the court of the State Committee of the Hawaii Republican Party. These are the same people who sat idly and did nothing but miss chance after chance to keep the 2016 election from being 'a referendum on Aulani Kaaihue'. Every member of the State Committee of the Hawaii GOP is now on official notice that if you drop this ball too, then everyone will remember what happened next. Much is at stake in the real lives of the hardworking people of Hawaii. This isn't New York or Tokyo with a giant tax base. Our little island of Oahu simply cannot afford this wasteful gravy train project for the enrichment of the Rail Cartel and its puppet politicians. Taxpayers are already struggling and they pay the lion's share of this make-work project. If our city and state politicians increase their taxes even higher to build and operate and maintain this white elephant boondoggle while leaving 95% of commuters in ever-worsening traffic, the voters will remember if Republicans offered to help lead the fight or if we hid from the challenge. RECIPE : Fight the tax hikes. Fight the endless waste of resources for this insane project. Fight against the skyrocketing cost of living. That's the political and policy recipe for Republicans in Hawaii. It's time to put up or shut up. Either we have a reason to exist as a party or we don't. So let's start shouting from the rooftops that there is a difference between Republicans and Democrats and let's demand that party leaders on our State Committee pull their heads out of the sand and demand that they push forward with a coordinated campaign that gives voters a real choice in 2016 and 2018. The General Election is just over two months from now . 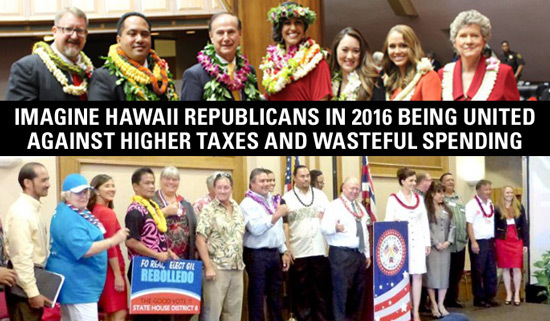 The State Committee and our candidates for office in 2016 have the power to change Hawaii GOP political history by siding with taxpayers against the greed of the Democrat Machine and the Rail Cartel. Again, the ball is in their court. We hope they make the right decision . . . and soon. Much is at stake. P.S. 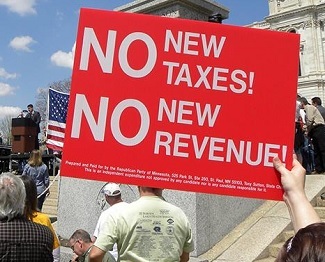 To be successful tax fighters, you really must fully understand the challenge ahead. 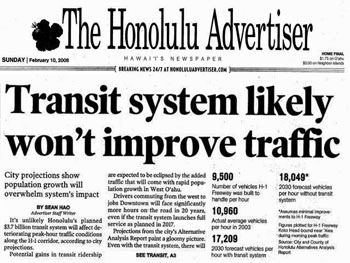 Honolulu's City Charter got changed in 2010. When former city councilman Charles Djou wrote the legislation founding the HART agency and created the legal authority it had to 'semi-autonomously' pursue rail construction and operations, Djou knew he had given HART a blank check to work with and the mission of building 34-miles of rail, no questions asked. 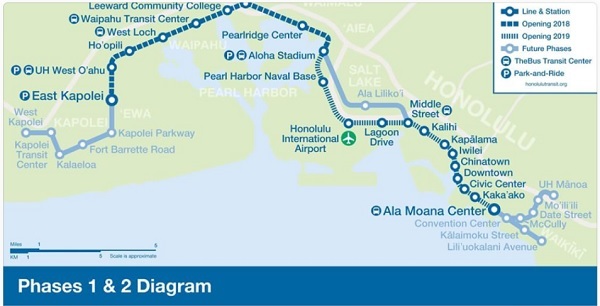 In order for taxpayers TODAY to take away that legal authority for HART to pursue building all 34-miles from Costco in Kapolei to Waikiki and UH Manoa (yes, construction of that entire route is pre-authorized in Djou's legislation creating HART), we need to change a key City ordinance upon which Djou's HART legislation depends. You can learn more about this critical issue and about HIRA's petition drive to put rail back on the ballot at www.MakeRailAffordable.com . HIRA offers this turnkey solution free of charge. In concert with fighting more tax hikes, we believe our petition is the only way to take the blank check out of HART's hands. Read more about the challenge HERE and check out MakeRailAffordable.com . Mahalo! P.S. Please help us continue to provide a voice for conservatives. Donate $10, $25, or $100 to let the establishment know we're not going away.